Madison College outfielder Sadie Holmes bunts the ball during a recent home game. The WolfPack softball team has won 7 of its last 10 games and has assured itself a winning record for the season with a 29-15 overall record. As the season draws near a close, the Madison College softball team has a shot at its first 30-win season. The team is already assured a winning record, with a 29-15 overall record with six games remaining. No matter the outcome of these final games, Madison College has greatly improved over its 22-23 record a season ago. Despite being swept by Illinois Valley Community College in an April 17 doubleheader, Madison College has won 7 of its last 10 games. That stretch includes six wins over conference opponents. With a 12-1 conference record, the team’s fate in the N4C conference will be determined by how it fares in a doubleheader at Rock Valley College on April 21. The WolfPack faced Rock Valley in the season-opening N4C Dome Jamboree on Feb. 28 and lost, 11-0, in five innings. Avenging that loss will be a challenge. Rock Valley is 43-5 overall and 13-0 in conference play. 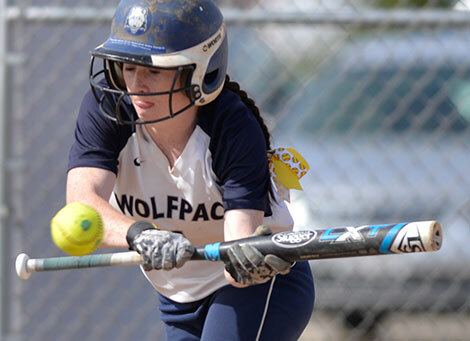 Every time Madison College rallied, Illinois Valley had an answer as it posted a 5-4 victory over the WolfPack in the first game of an April 17 doubleheader. Madison College scored three times in the second inning, powered by a two-run double by Cheyenne Holmes. But Illinois Valley responded with three runs in the bottom half of the inning and one more in the third inning. After Madison College tied the game in the sixth inning with an RBI single by Sadie Holmes, Illinois Valley answered again in the bottom half of the inning to score the winning run. Jenalee Wilson pitched the loss for the WolfPack, allowing five runs on seven hits in six innings. Her record fell to 9-4. An eight-run sixth inning proved the difference in Madison College’s 11-3 loss to Illinois Valley in the second game of the doubleheader. With the score tied at 3, Illinois Valley took advantage of Madison College miscues to score eight runs, six of them unearned, in the bottom of the sixth inning. Madison College made a total of six errors in the game. The WolfPack was limited to six hits. A double by Sadie Holmes was the only extra-base hit of the game for Madison College. Courtney Boss pitched the loss to put her record at 9-6. She allowed seven runs on nine hits in five innings, but only three of the runs she allowed were earned. 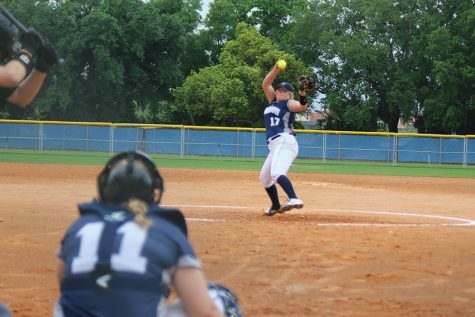 Jenalee Wilson pitched a one-hit shutout as Madison College beat Triton College, 5-0, in the first game of a double header on April 16. Wilson allowed just five runners to reach base in the victory – one on a hit, one an error, two on walks and one on a hit batter. Cheyenne Holmes opened the scoring with a solo home run in the first inning, the only extra-base hit of the game. Breanna Guenther drove in two runs with a sacrifice fly in the fourth inning. After falling behind 3-0 early in the game, Madison College scored in each of the last five innings as it posted a 12-6 victory over Triton College in the second game of the doubleheader. The WolfPack offense was led by Ashley Marshall who had a home run and a double in the game. Paige Giese added three hits, including a double. Kayla Crump, Cheyenne Homes, Breanna Guenther, Nicole Hoffmann, and Kiana Smith each had two hits. Courtney Boss pitched the win, giving up four runs on five hits and two walks in four innings. Madison College was held scoreless in an 8-0 loss to Kishwaukee College in the first game of a doubleheader on April 15. The team was held to three hits in the game, but Cheyenne Holmes and Brianna Smith both doubled. Errors again played a big role in the loss. Madison College committed five errors in the game, accounting for five unearned runs. Jenalee Wilson pitched the loss, giving up eight hits but only three earned runs. 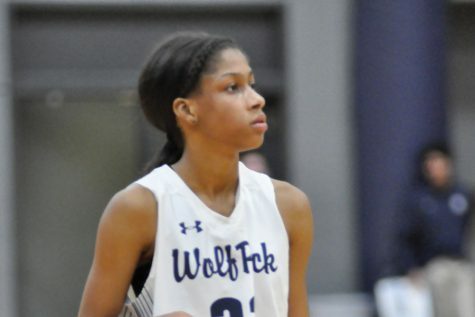 Game two of the doubleheader saw Madison College turn the tables on Kishwaukee College. This time it was the WolfPack coming up with big hits and taking advantage of its opponent’s mistakes in an 8-7 victory. 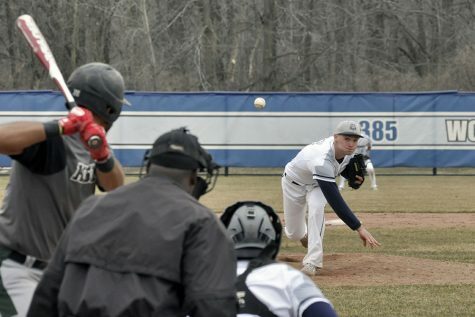 Although Madison College had eight hits, it was Kishwaukee College’s five errors that proved most costly, allowing the WolfPack to score seven unearned runs. Brianna Smith led Madison College hitters with two hits, including a double, and two RBIs. Cheyenne Holmes and Ashley Marshall also doubled.